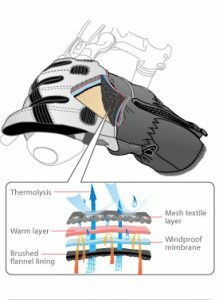 Water Resistant and wind-resistant gloves for winter cycling. • Neoprene and microfiber leather with reflective piping on top provides comfortable wearing. • Microfiber leather on thumb area for sweat wicking.